Hey there. Are you ready for some football?!?! I sure am! I hate the few months leading up to football season because the only sport that is on TV is baseball. Even though I played in a softball team for 2 seasons, I just can't watch the sport on TV. It's just not my cup of tea. So now that football is back, sports have been reinserted into my life! I love football and couldn't be more excited that the first game of the season finally kicked off! 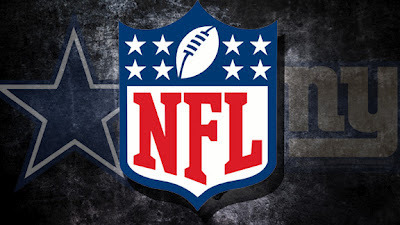 So here are my thoughts on the opening game of the 2012- 2013 NFL season between the Dallas Cowboys and the New York Giants. 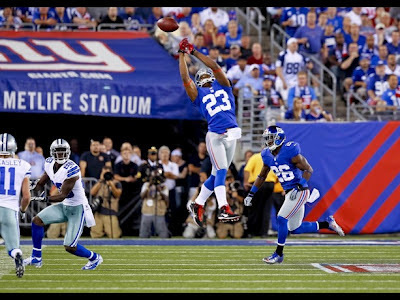 The defending champs, the New York Giants were at home against the Dallas Cowboys. From what I remember hearing, no defending champion has lost the opening game since the NFL decided to showcase the champs on a nationally televised game on a weekday. Tonight, the Giants killed that streak. As I watched the game, I questioned whether or not I was watching Romo step up his game or if the Giant defense lost it's step. I'm not the biggest fan of Tony Romo. I criticize him greatly for the mistakes that he makes with the football. He can be quite careless and has lost many big games for the Cowboys. Early in this game, he threw an interception. His carelessness got the best of him again... but that was his only big mistake this game. He made some spectacular throws over outstretched Giants defenders for some big gains. TD passes to WR Austin and WR Ogletree (who?) kept the Giants at bay. Especially in the 4th qtr. After being flagged (more on that later) and backed into a 1st and 30, Romo threw a beautiful pass for a 34 yard score. That score practically won the game for the Cowboys and Romo deserves the credit for this win.... but you can't count Giants QB Eli Manning out, can you??? Don't drop this one, guys! Eli Manning showed the world how clutch he could be. Last season's Super Bowl run was nothing less than spectacular and riding the momentum of taking out the New England Patriots (again) should have carried over into this season... but it didn't. 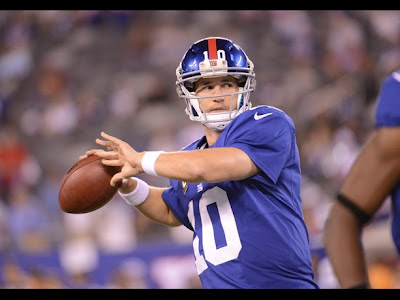 Manning looked rusty, the defense wasn't sharp, and everyone on the Giants team seemed to be one step behind the Cowboys. Giants RB Ahmad Bradshaw ran for less than 80 yards and the Giants did not have a single 100 yard receiver. Manning missed a sure fire touchdown early in the game and the receivers didn't help their cause by dropping many passes. Some of the drop passes were inexcusable (I'm looking at you Victor Cruz). Manning can't throw and catch his own passes. If the receivers did not drop some of those passes, the outcome of this game could have been different. Oops! Sorry Eli!!! I dropped another one! Now... when you think of the Cowboys you think of Romo, Witten, Dez Bryant and Miles Austin. If you were to say that Cowboys WR Kevin Ogletree would be the star, fans would look at you and question your NFL knowledge. lol This guy found open holes in the Giants defense time and time again and burned the Giants for 2 scores and caught over 100 yards. His smart play bailed Romo out of some bad situations and Ogletree's stock is definitely on the rise. I wouldn't be surprised if he continues to take balls away from Austin. 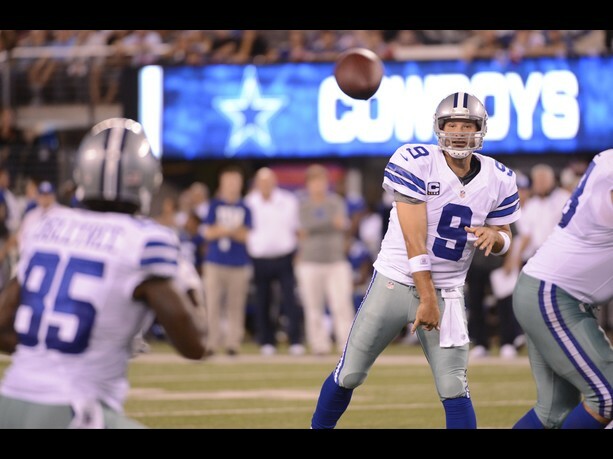 Romo to Ogletree all night long. There was a lot of talk of the referees. Well, I should say replacement referees. The NFL and the referees have not reached an agreement just yet so NFL games are being officiated by replacement refs. I was worried that the game would be plagued by yellow flags. I feared that a miss call would determine the game. All in all, the replacement refs did a good job on the national stage. There were plenty of flags, but they were well deserved. The Cowboys were flagged well over 10 times in the game and there was nothing that stood out as a blatant blown call. Good job refs. For all the crap that the refs received (and deservedly so) they got the job done right this time around. All in all, the opening game of the season didn't not disappoint. The game started off a little slow but the second half was exciting. It played out like 2 heavy weight boxers feeling each other out before going for that knockout punch. Too bad the Giants never really found their groove while Cowboys landed a few power punches that the Giants just couldn't recover from. I can't wait until this weekend when the rest of the games get under way. I LOVE FOOTBALL! Later! Although they did look impressive, i'm not yet sold on the cowboys. It's only a matter of time before they revert to their losing ways. I like watching football surprisingly. Can't wait until the super bowl!